You know about everything bagels? 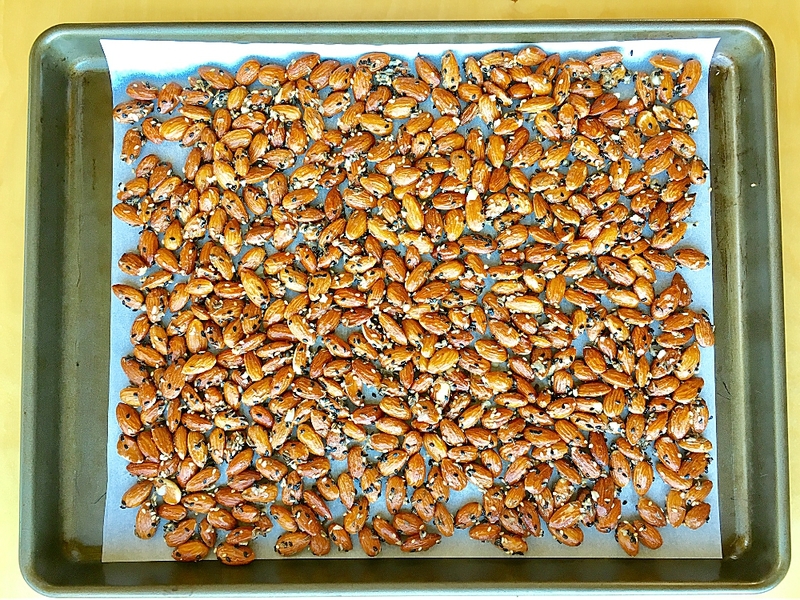 Well here are Oven Roasted Everything Almonds. Holiday season will soon be upon us. It’s always a good thing to have an easy appetizer recipe in your back pocket for holiday season. 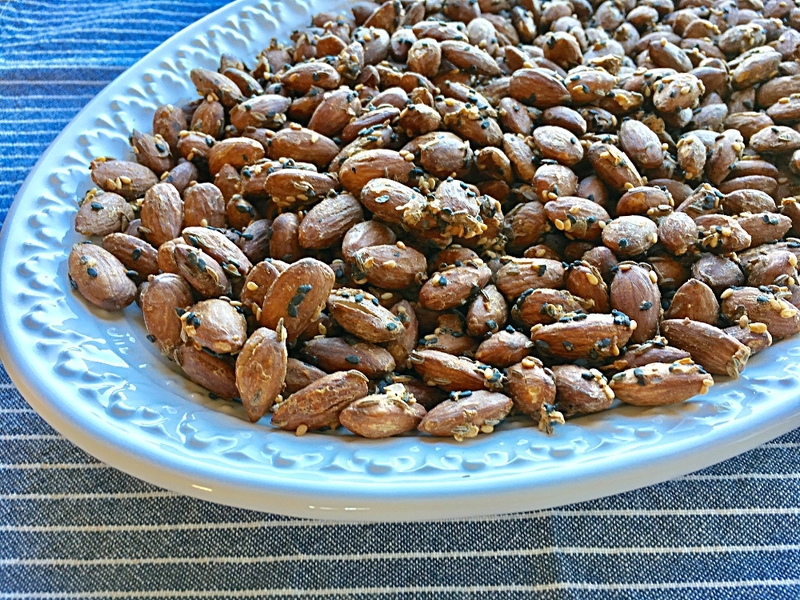 How often are we invited to bring an appetizer and can’t think of a simple, healthy appetizer recipe that we know everyone will love? Here it is. Put out a bowl for snacks during football, happy hour or to take as an easy appetizer parties. It only takes 5 minutes to whip up before roasting. The wonderful food blog ezgf.blogspot.com gets the credit for this recipe. I made a few minor changes. Mix the nuts with frothy egg whites. 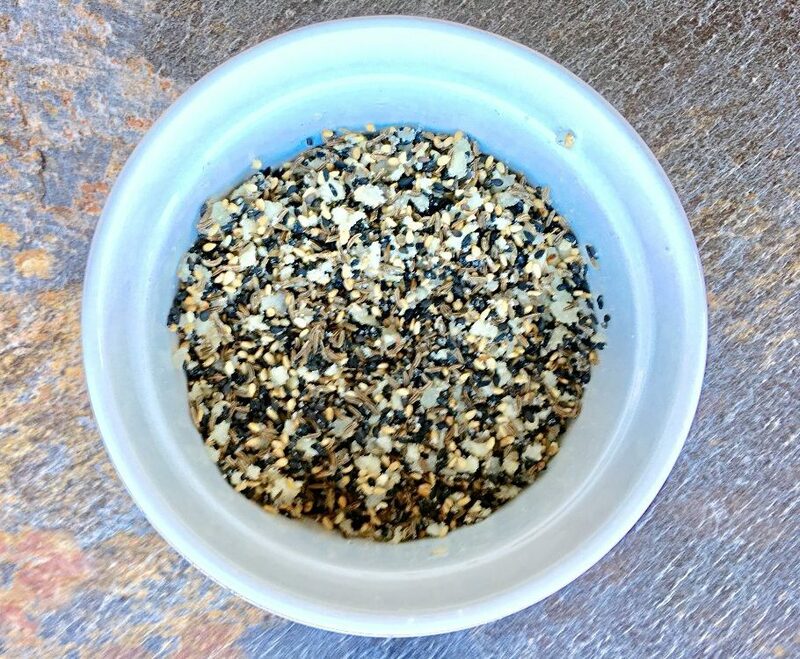 Mix seeds and seasonings together. 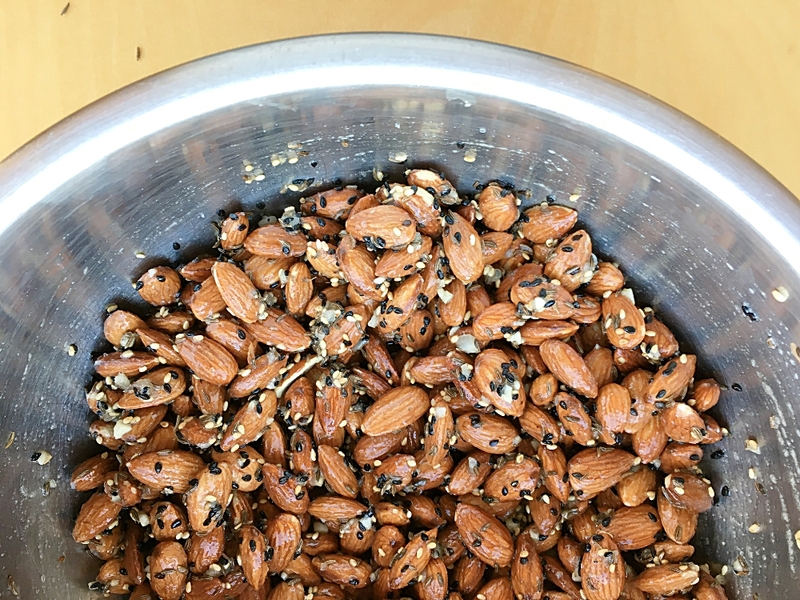 Add seeds to almonds, coating almonds with seed mixture. Bake in a prepared pan and roast away. It makes your house smell so yummy. Forty five minutes later they’re done. Let cool and serve or store in a cool dry place in a glass jar. These would also make great gifts! Munch away and have a great weekend! Preheat oven to 290 degrees. Line a baking sheet with parchment paper or spray with non-stick spray. 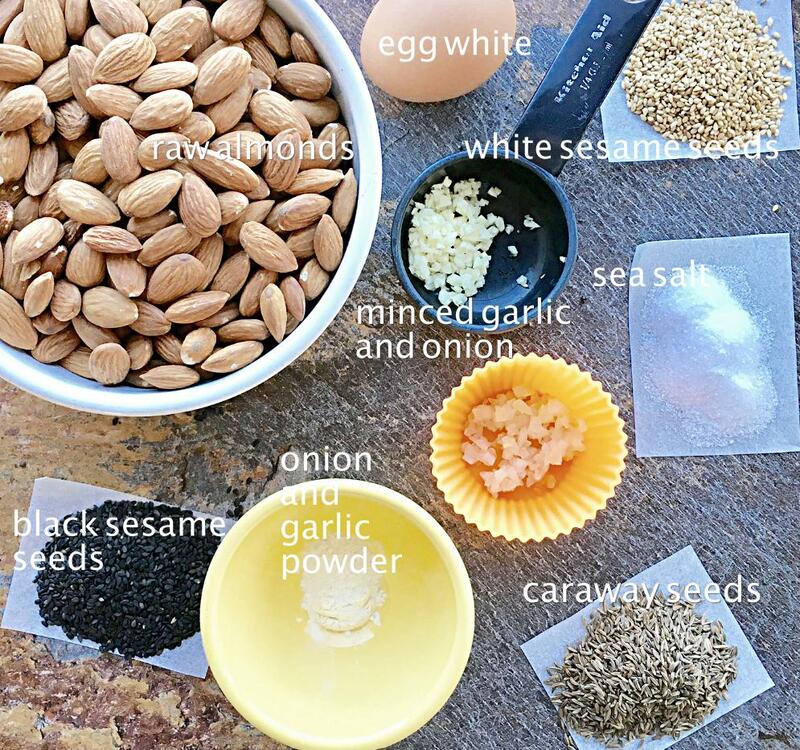 To make the seasoning for the almonds, combine minced onion, garlic, seeds, salt, garlic and onion powder in a small bowl. 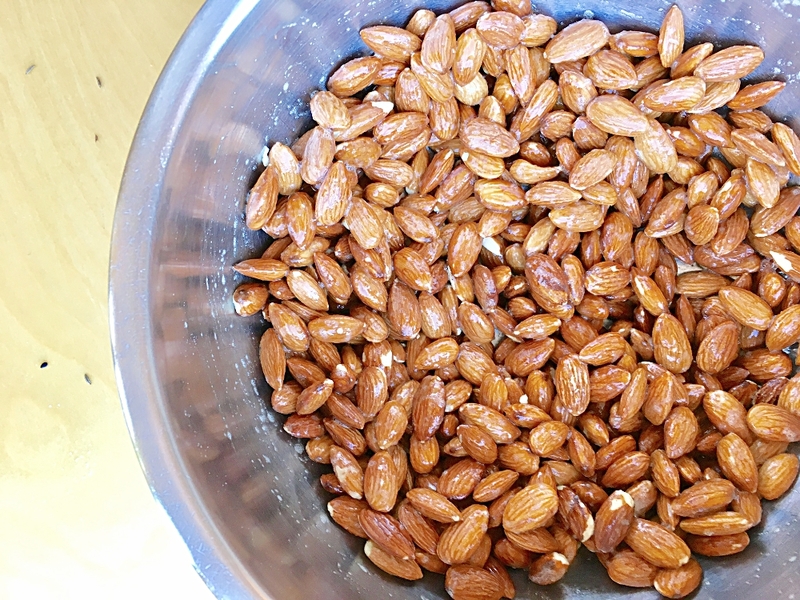 Place almonds in a large bowl. 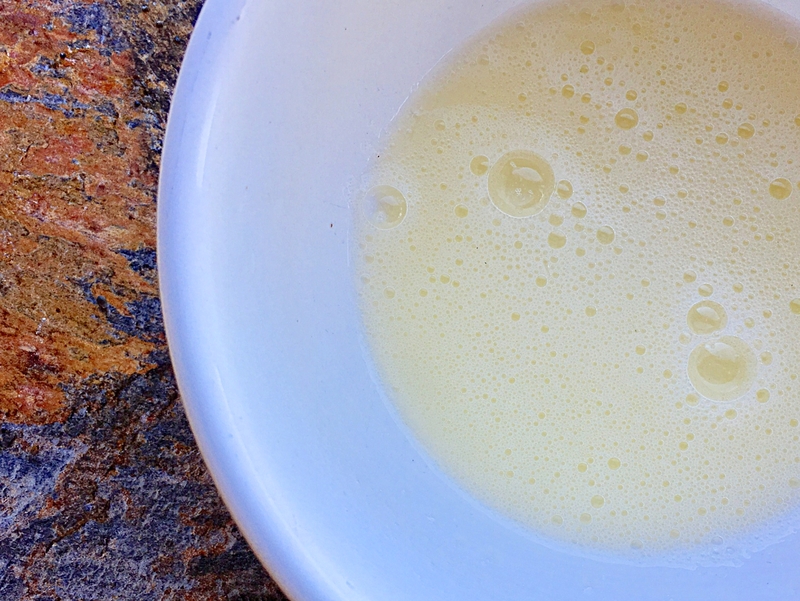 Whisk the egg white until light and frothy. Add the frothy egg whites to almonds and combine. Pour the seasoning mixture over the almonds and toss well to coat almonds. Pour into prepared baking dish and spread in a single layer. Roast for 45 minutes. Half way through baking, remove from oven, breaking them apart and stirring them. Return to oven to complete roasting. Let cool. Store in a glass jar until serving.